We had reported that 21 savage was arrested by U.S immigration after they discovered he is a British citizen living in the US illegally. 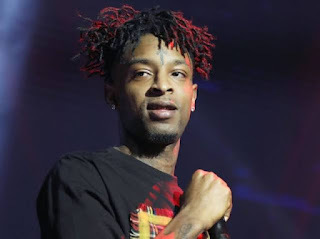 ICE held 21 Savage in the state of Georgia for being unlawfully present in the US and for being a felon. He was convicted of drugs charges in 2014. However, the rapper was released from custody on Tuesday after being detained by US Immigration and Customs Enforcement agents in Atlanta. 21 Savage’s lawyers issued the following statement following his release: “For the past 9 long days, we, on behalf of She’yaa Bin Abraham-Joseph, known to the world as 21 Savage, have been speaking with ICE to both clarify his actual legal standing, his eligibility for bond, and provide evidence of his extraordinary contributions to his community and society.